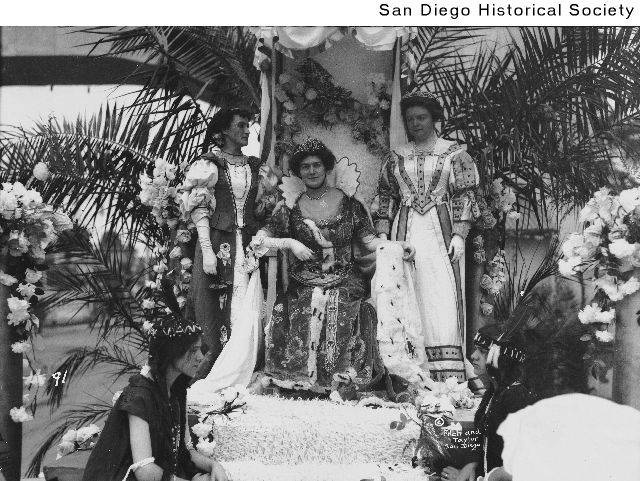 Set off at Midnight at the touch of President Woodrow Wilson, 3000 miles away, a rainbow of light suspended 1500 feet in midair, covering an area of three miles in the sky and punctuated by the bursting of bombs, flashed the news near and far that the Panama-California Exposition had been officially opened and that San Diego with her Magic City is ready to play host to the world for the coming 365 days. 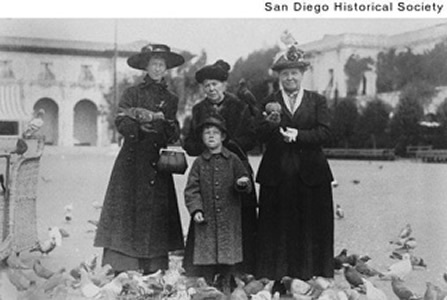 This page will explore the first unified use of Balboa Park. 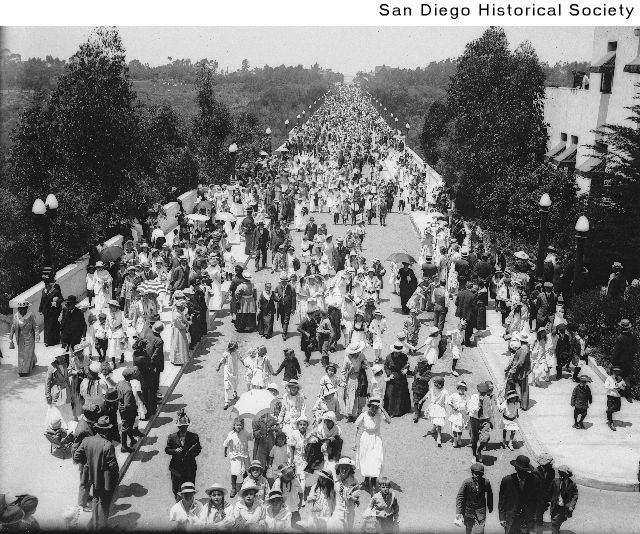 The Park was host to the 1915-1916 Panama-California Exposition, celebrating the opening of the Panama Canal, with San Diego being the first American port-of-call. San Diego's Chamber of Commerce and leading business figures recognized this strategic location and wanted to take advantage of it. In order to attract future settlers, the military, and investors, the Chamber of Commerce decided an exposition would be the best route. 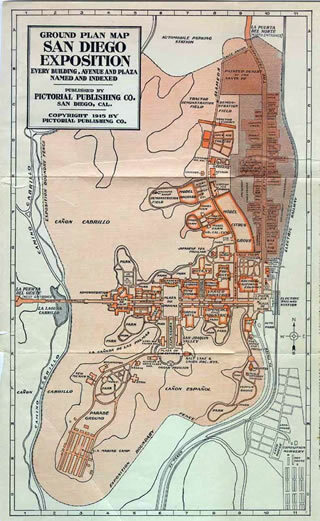 What commenced was an all out effort to market and develop San Diego as a urban center with the proper resources to handle the new maritime traffic coming in from the Panama Canal while maintaining its small town charm. Adopting a new architectural style not used for world's fairs, San Diego's boosters marketed their exposition on a vacuous Spanish history combined Helen Hunt Jackson's book Ramona. However, in order to successfully market to an Anglo demographic, both the Spanish history and book had all controversy, social issues and racism taken out. 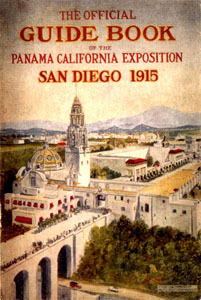 The Panama-California Exposition was intended to represent San Diego's rise to prominence both regionally and internationally. 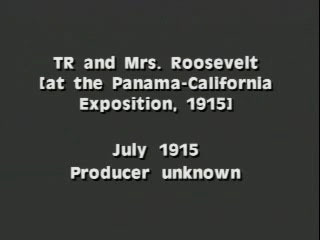 The Exposition celebrated the opening of the Panama Canal, an immense engineering feat, which dramatically cut the distance and cost of international shipping. It was also an opportunistic event for San Diegans, as they now would become the first port of call on the west coast of the United States. 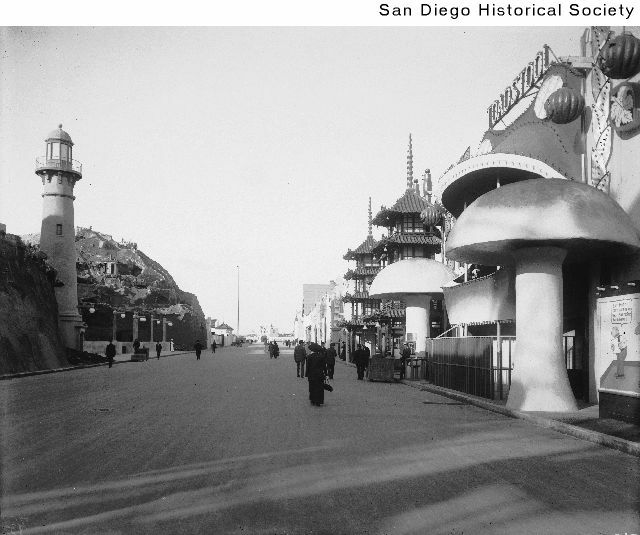 Plans to host an exposition began in 1909 and the development of City Park, as it was known, soon followed. 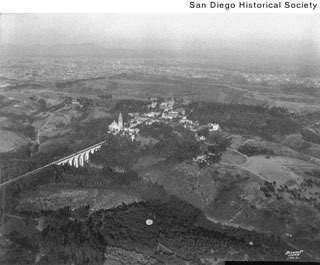 The product of this development was a city within San Diego. The city of San Diego used a great amount of their resources to turn the hilly and undeveloped terrain of Balboa Park into an exposition site. Civic leaders contracted architects Bertram Goodhue and Frank Allen to design many of the buildings for the exposition. 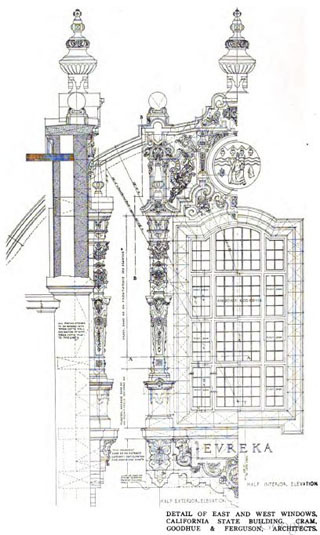 Both architects deviated from the usual Greek and Roman styles of earlier expositions and relied heavily on Spanish and Mediterranean themes in their designs. Of the most elaborate, and arguably, beautiful were the buildings along the Park's El Prado. The west entrance to the Park was Cabrillo Bridge, white and arching across one of the many valleys in the Park. After crossing the bridge visitors entered by the California Quadrangle. 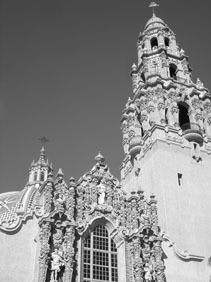 Its wildly ornate tower, rising above the trees lining the Park, gave visitors a visual history of the Spanish era in California. 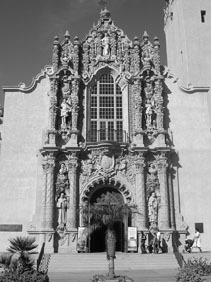 Spanish kings, explorers and friars were prominently displayed along the building's facade. 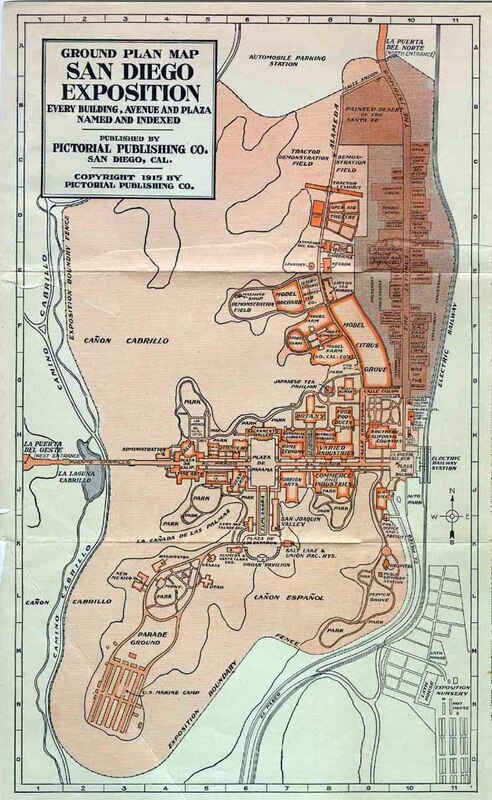 Continuing east to the heart of El Prado was the Plaza de Panama, which connected to the Food & Beverage Building at the westernmost end. 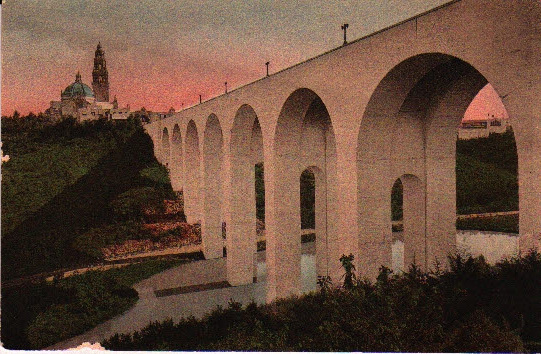 Its unique style, accompanied by a marketing blitz in local newspapers and literature, not only entranced visitors but also created an atmosphere that contributed to the region's Spanish myth. 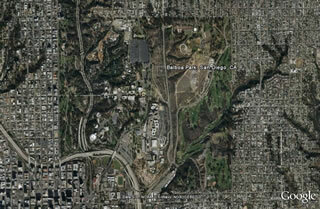 Interactive Google map of the original exposition grounds. 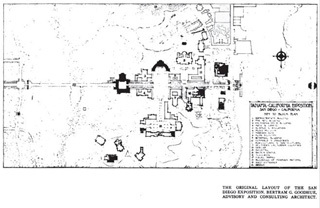 Click the link above to see where the original buildings are located. 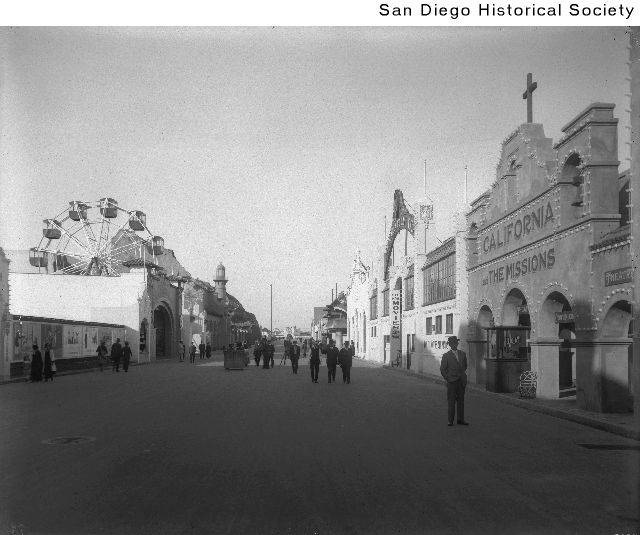 Early films of the Panama-California Exposition captured many aspects of the fair. 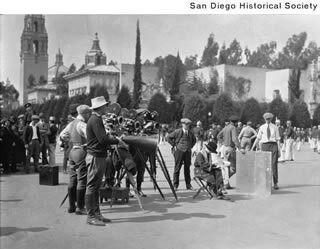 The video clips below offer the visitor a visual tour of Balboa Park as it was in 1915. 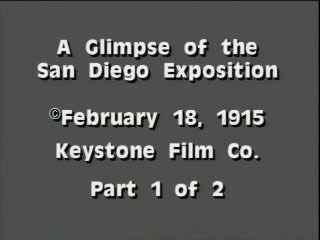 These first two film clips documents the newly created buildings of the exposition. Part one captures the western entrance including the Cabrillo Bridge and California Quadrangle. 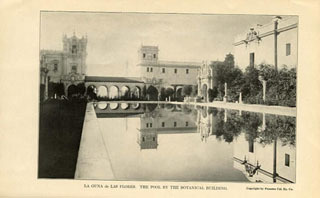 The film then gives the viewer a panoramic view of the Prado from the top of the California Tower, an outside tour of both the Botanical Building, the miniature reproduction of the Panama Canal's lock system and the exposition's Isthmus. 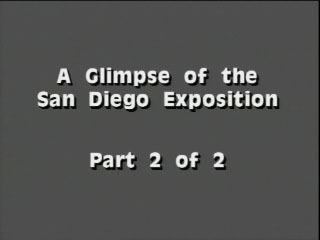 The second film goes on to show the exposition's film production exhibit, koi pond and the Plaza de Panama. 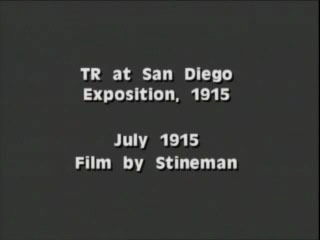 Two film clips document Theodore Roosevelt's visit to the exposition. He was one of many government officials and prominent visitors to Balboa Park. 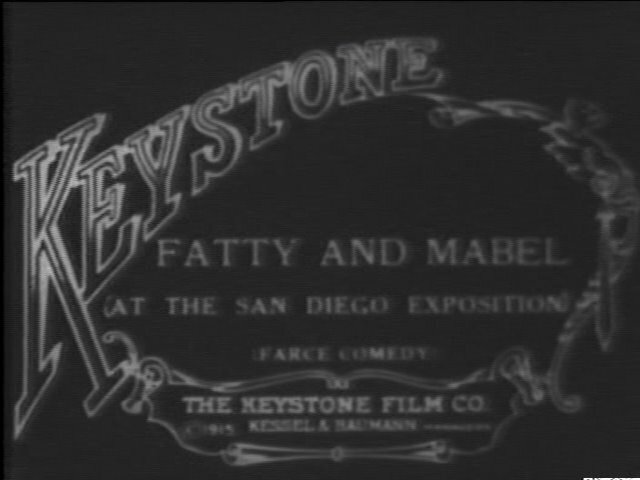 The final video is the Keystone Film Company's silent film, "Fatty and Mabel at the San Diego Exposition." 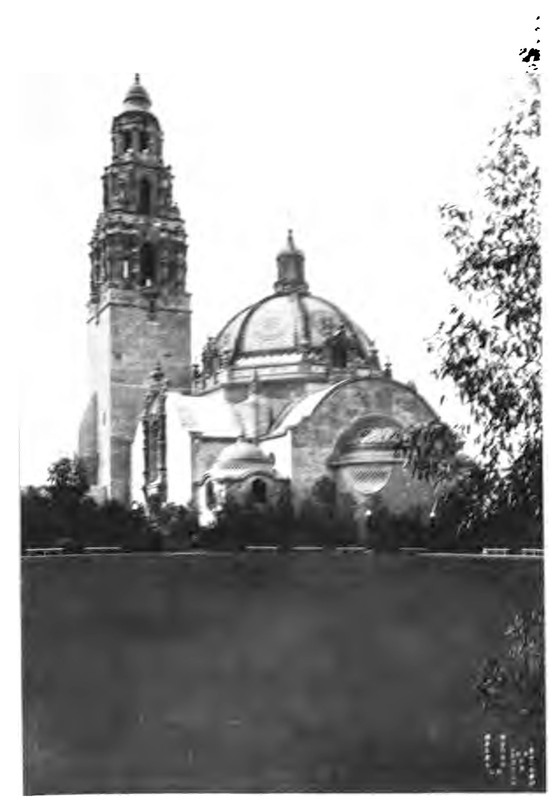 Frederick A Bisbee, A California Pilgrimage: A Souvenir of the United Universalist Conventions, California 1915 (Boston: The Murray Press, 1915), 53. At the top stands the statue of Fra Junipero Serra to whose labors was due in great measure the real start of civilization on the coast of what is now the United States. At one side stands Cabrillo, the discoverer of 1542... At the other is Vicsaino, the explorer of 1602, beneath the bust of Philip II of Spain... and across the arch is Fray Jaumo, the first white martyr. 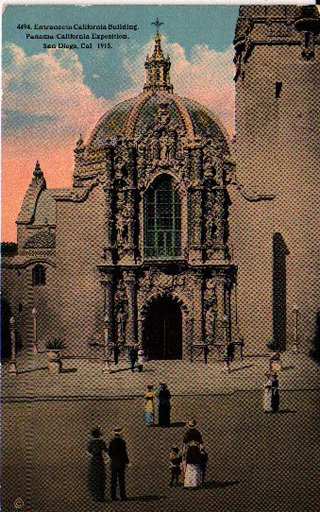 It is a pictorial history of the American west coast. The dimly lighted grounds through which first visitors passed on their way to the Isthmus never before seemed to cast the enchantment of last night. Dark-eyed Spanish girls in their striking gowns of Old Spain danced in the mellow gloom of patios which might have been hundreds of years old... From different parts of the grounds came the strains of bands playing Spanish airs, and now and then the voice of a senorita broke through in happy melody. The air was surcharged with romance, redolent with sweet breath from 640 acres of blooming fairyland and teeming with the atmosphere of a long time since passed and made possible only by blending the old with the new.